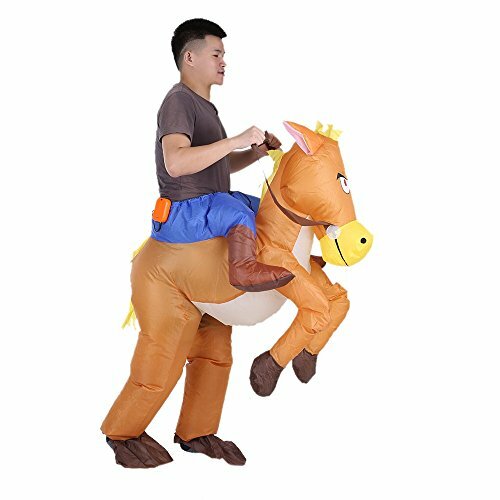 Deluxe Version of Inflatable Horse Dress Costume. Child Size. One Size Fits 4-8yr (42"-51" Height) boys and girls. Made with 100% Fire Resistant Polyester. 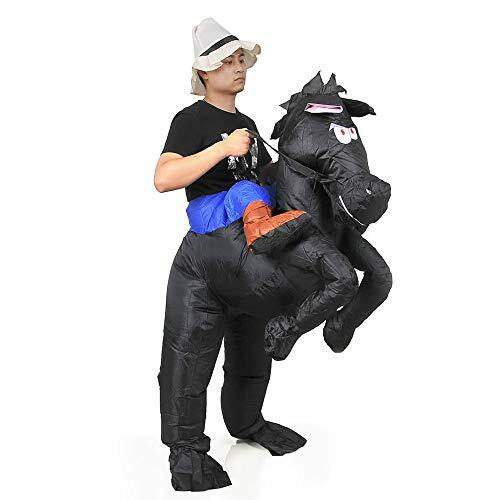 Package Includes Inflatable Horse Pants, Battery-operated Air Pump, and Explorer's Hat. Air Pump Requires 4 AA Batteries. (Batteries not Included) Perfect for Halloween Dress-ups, Halloween Costume Party, Halloween Night Event. Use the Pocket Located Inside the Costume's Legs to Safely Store the Battery Pack. DO NOT put Battery Pack in Your Own Pocket Otherwise It Gets Overheated. Adjust the Direction of the Fan and Tighten the Drawstrings for the Best Inflating Performance. MONEY BACK GUARANTEE- "Contact Seller" and we will refund you or ship you a replacement if the one you received fail to work in 90 days. 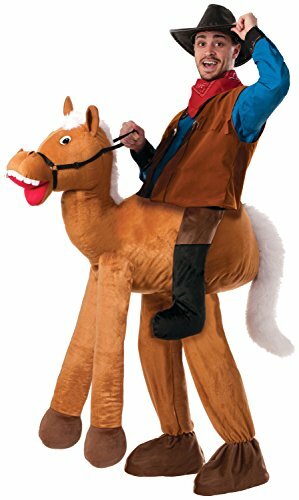 Giddy up little horsey! 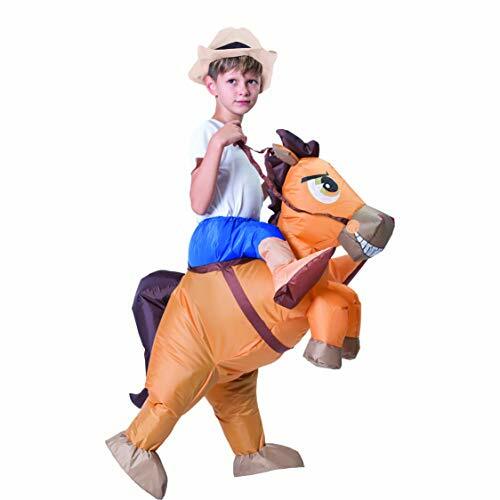 Your little cowboy or cowgirl will love this brown horse costume. 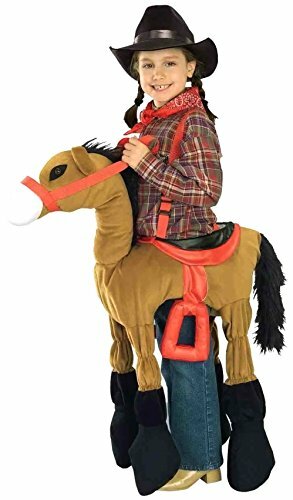 This costume is great for creative play. 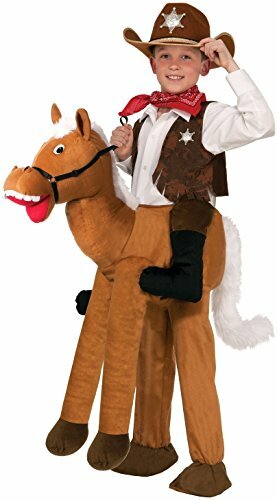 Your little one can feel like the Sheriff or even be the rough and tough Outlaw. 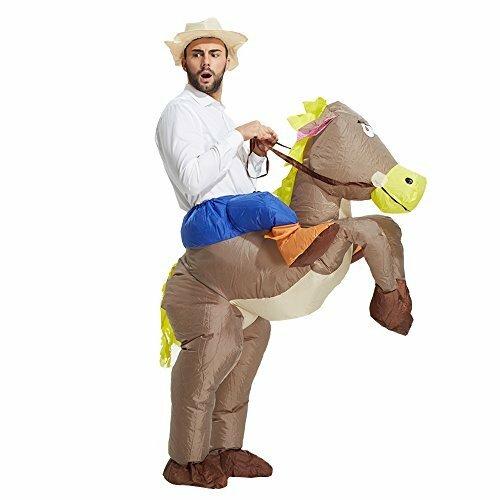 Use this as a Halloween costume or for dress-up! 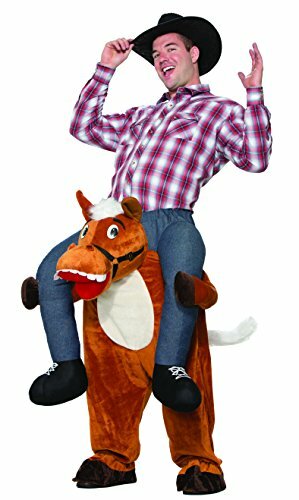 Spencer Cowboy Rider Horse Riding Novelty Pet Dog Costume Christmas Dress up Decor for Cat Dog Puppy "Size XL"